Handcrafted pearl earrings made with vintage pearls from the 1910’s! 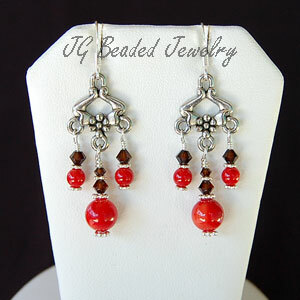 They are wire wrapped by hand with flawless vitrail Swarovski crystals and the length is approximately 1.25″. 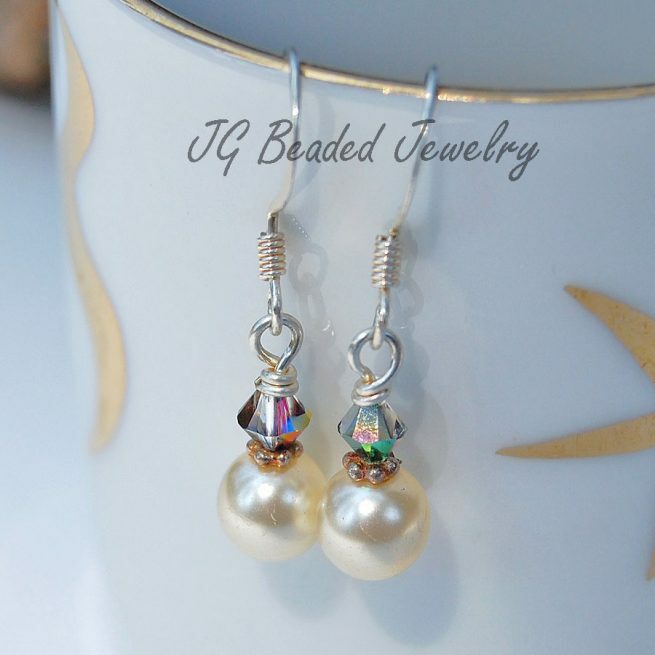 The history of these pearls is that I picked them up pearls several years ago and have been keeping them safe, but now have decided it’s time to let them out into the world to be enjoyed! 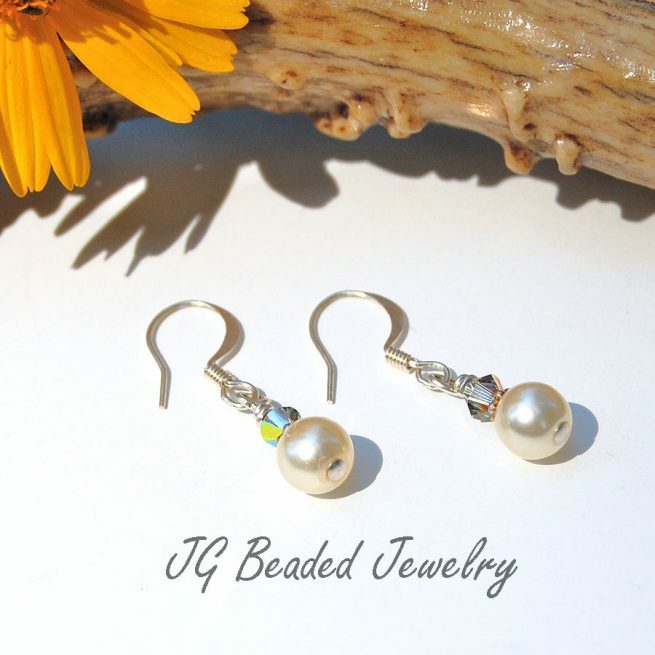 These pearl earrings are very versatile as you can wear them to the beach, the park, dinner or a wedding! 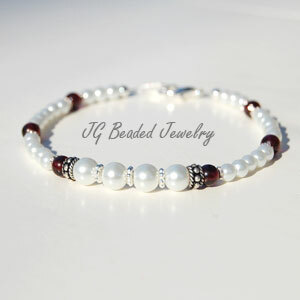 They will go with just about anything. 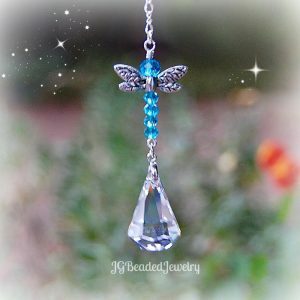 ♥ Also offering unique and individually handcrafted Rearview Mirror Decorations, Crystal Suncatchers and Light/Fan Pulls!